Introducing the all-new Flashcal F5 from Superchips. 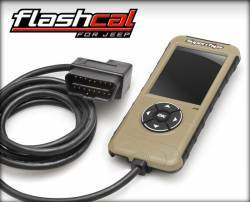 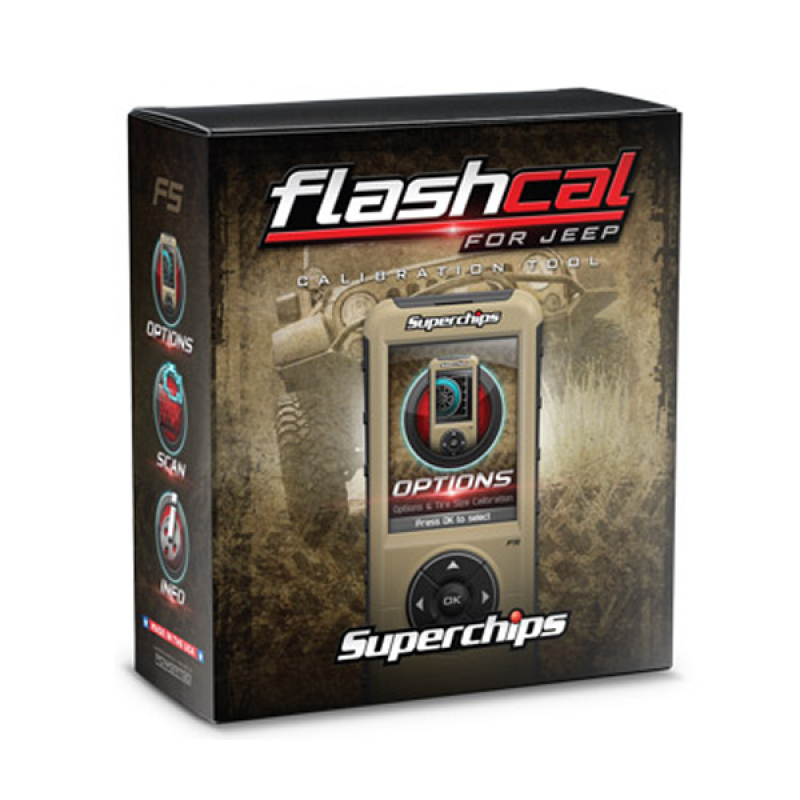 Introducing the Superchips Flashcal F5 for 2007-2018 JK Wrangler PN. 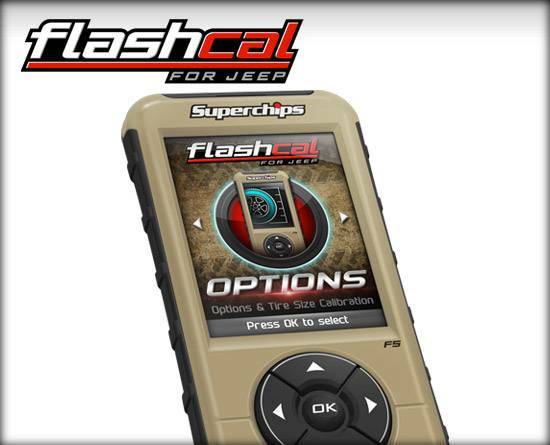 3571 We’ve done our homework and have loaded the Flashcal with the most sought after options for your JK. 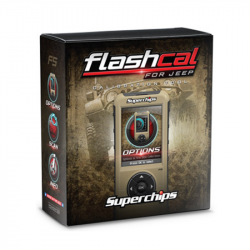 Take full advantage of the most popular aftermarket upgrades your late model JK craves. If you’ve added tires or gears to your Jeep, Flashcal is a must! KEY PRODUCT FEATURES: • Corrects speedometer for tire upgrades between 26” - 42” • Speedometer recalibration for gear /axle swaps up to 5.38 • Locking axle options with transfer case in 4-Hi & 4-Low (2007-18 Rubicon only) • ESP stability optimization (2011-18 automatic transmission models only) • Engine idle adjustability for winching • Daytime running light options (2007-18 models only) • One touch lane change • TPMS Options (Download required) • Accessory delay options (2011-18 models only - Includes adjustable delay for radios, accessory lights, and other aftermarket accessories tied to the same fuse) • Headlamp delay options (2011-18 models only) • Horn chirp and exterior lighting flash options when locking doors with keyless entry • Reads and clears diagnostic trouble codes • Internet updatable * Results and feature set may vary based on vehicle make, model, and aftermarket upgrades. 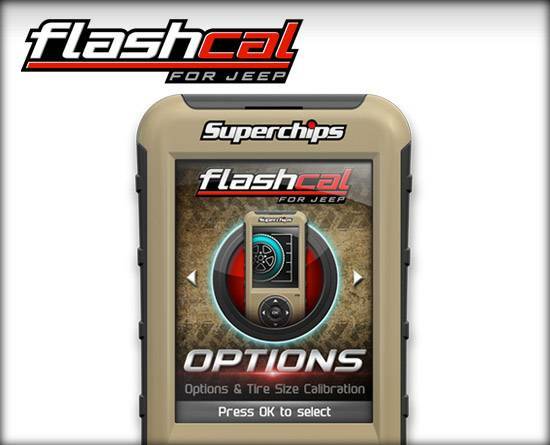 Read all instructions before installation and/or operation of this product use. 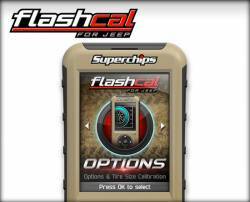 Tire Size - 26" - 42"